If you were wondering what is the best engine treatment, you came to the right place. We got this letter in the mail the other day. 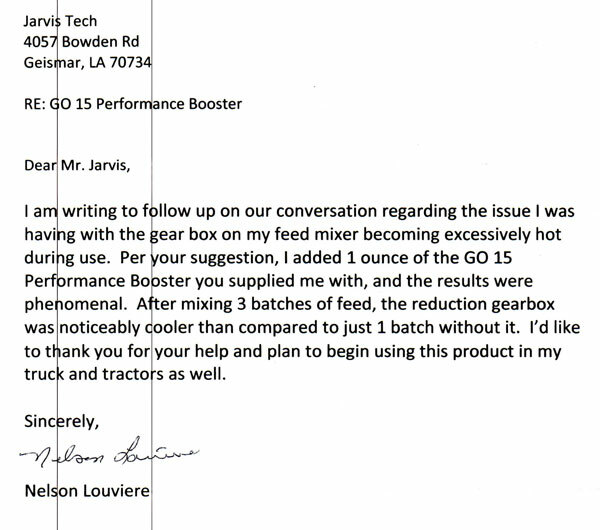 The letter was to one of our resellers who recently gave GO15 to Nelson Louviere who used it for his feed mixer, trucks and tractors. Below is the content from the letter containing his GO15 Engine Treatment Review. I am writing to follow up on our conversation regarding the issue I was having with the gear box on my feed mixer becoming excessively hot during use. Per your suggestions, I added 1 ounce of GO15 you supplied me with, and the results were phenomenal. After mixing 3 batches of feed, the reduction gearbox was noticeably cooler than compared to just 1 batch without it. I’d like to thank you for your help and plan to begin using this product in my truck and tractors as well. We are so happy to have helped Mr. Louviere with his overheating problem. GO15 is designed to improve most all of the related fundamental operating efficiencies of internal combustion engines whether it is a vehicle or piece of machinery. GO15 will work for you. 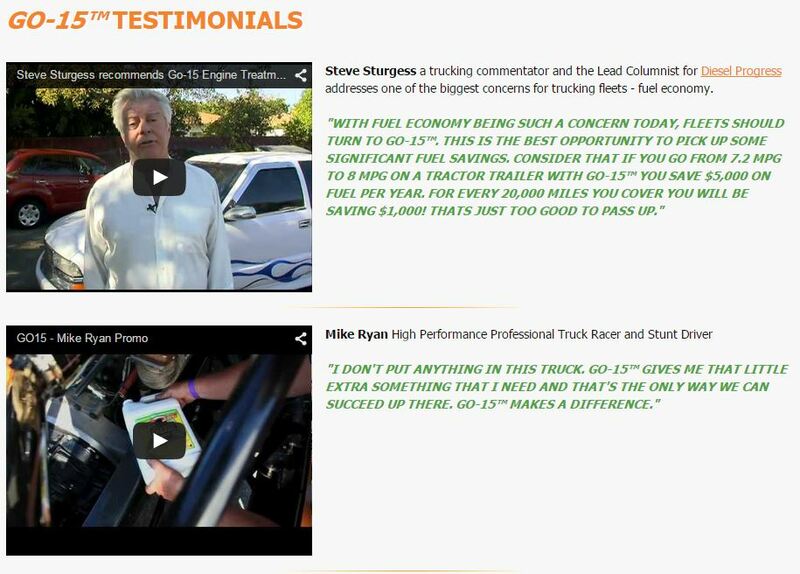 You can see more GO15 engine treatment customer reviews on the testimonials page of the GO15 website. I would like to know of anybody using it in a motorcycle, I own a 2001 Yamaha v star 1100 ?, I use it all the time in my Mazda with great results. Subscribe to the GO15 Newsletter for car related tips, advice and news.